We’ve been patrons of Bao Makers ever since they first launched at Jalan Besar in 2015. No doubt one of the better cafes in an already packed cafe district, we were surprised to see them pack up and leave for Jiak Chuan Road at the end of last year. So of course we had to head down and see what this new venue had to offer. Boasting a space that’s at least twice as big as the previous venue, yet maintaining its sense of cleanliness and quaint charm, Bao Makers at Jiak Chuan Road looks primed for success at its new home. In addition to the change in space, they’re even changing up their concept: though they still hage their usual baos and rice bowls on their lunch menu, once the sun goes down, they transform into nightlife friendly Butler’s Steakbar, serving up juicy slabs of prime beef alongside cocktails. When we arrived at the venue in the middle of the afternoon, we were formally welcomed by Bao Makers co-founder Pang Su Yi. While we were introduced to some of Bao Makers’ signature dishes, we had a wonderful conversation about where Bao Makers plans to go from here, and how the business will continue to develop in the coming years. And rightfully so. Taking a bite of one of these baos is a revelation. 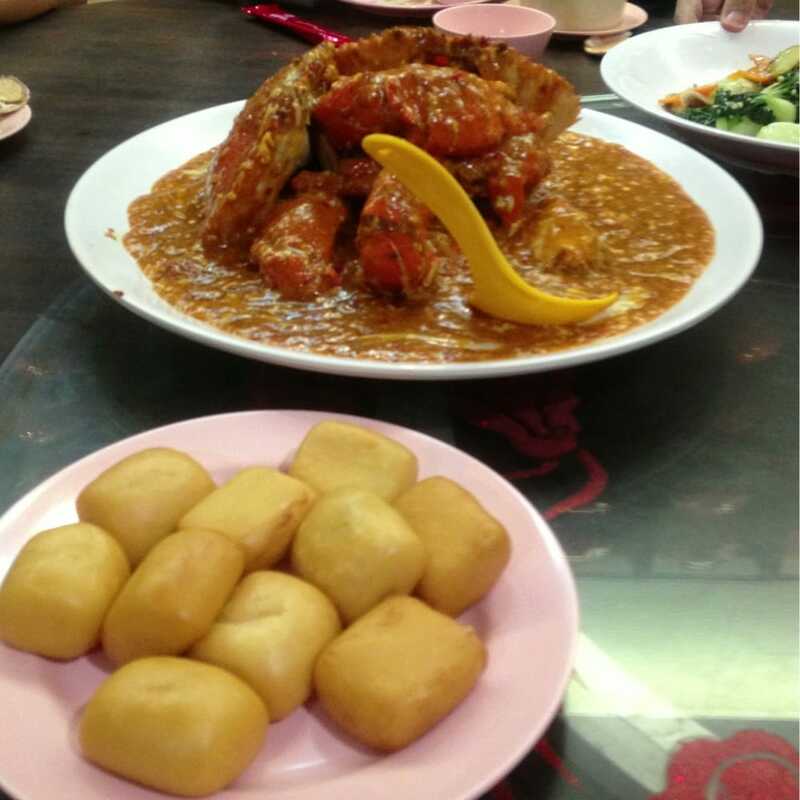 The Chili Crab Bao is a clever twist on all time Singapore favourite dish Chili Crab and Mantou, using a deep fried bao to replicate the traditional fried mantou, and stuffing it with fresh mud crab meat slathered in their secret chili sauce recipe. The Salted Egg Chicken Bao we tried is incredibly generous – with a well-seasoned fried chicken cutlet that spills out of the steamed sesame bao that sandwiches it, coated in a yummy salted egg mayonnaise that goes just right with the chicken. All it takes to fall in love is a single bite of one of these quality baos, made fresh and stuffed with only the best ingredients. For example, looking at their Belly of Pork Bao, you can see luscious, rich cuts of pork belly used are very meaty, and left our mouths watering at first sight. Besides baos, Bao Makers also offers up rice bowls and pastas during lunch. We had a taste of their Beef Steak Rice Bowl and Salmon Mentaiko Rice Bowl. We were practically kicking ourselves for not having tried the beef one earlier on, because these beef slices are practically melt in your mouth, each chunk aromatic and cooked to perfection, an ideal complement to the Japanese rice grains used. As for their Salmon Mentaiko Rice Bowl, this really is the ideal lunch for any fish lover, with a generous serving of smoky mentaiko on a crispy piece of salmon, topped with fresh tobiko that completed the entire dish. Ok, so all of the above makes Bao Makers a fantastic eatery. But putting ‘cafe’ in their name, how does their coffee fare? Incredibly well, in fact. With a La Marzocco machine sitting pretty atop the bar counter and using Common Man coffee beans, Bao Makers’ coffee was one of the best in the entire Jalan Besar district, and is sure to attract plenty of customers at their new home. For a change of pace, we decided to try their house special – Singapore Latte Peng, a twist on our usual iced latte, which even came with some house made espresso coffee jelly that gave the drink an additional caffeine kick and taste dimension. For people who prefer not to take coffee, Bao Makers also makes some really good iced tea, perfect for cooling off in the hot weather. Su Yi strongly recommended their Lychee House Brewed Iced Tea, which refreshed our parched throats in an instant, delighting our tastebuds with its cool sweet flavour and eyes with the adorable jar-cup it came in and topped with actual lychees. We have no doubt that with such potential, Bao Makers will only continue to see success in the years to come with the amount of hard work and effort put into it. Believe us when we say that we’d be happy to pop down and make Jiak Chuan Street our new haunt, this time not just for their coffee, but certainly, paired up with a beef bowl and a bao to make for a truly hearty lunch. Visit their Facebook page for updates and promotions!